Now you can work on not succumbing to hunger, together. 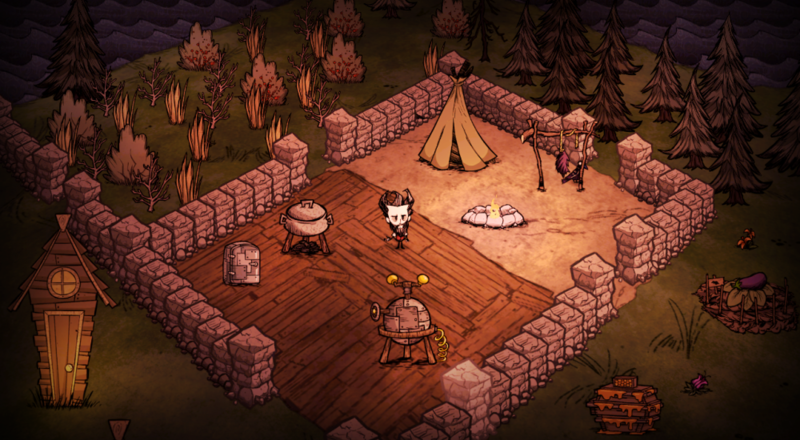 From the moment Don't Starve was announced, Klei Entertainment has been adamant about providing the best single player experience they can deliver, even at the sacrifice of multiplayer. Well, things change. People change. And now, the surreal survival experience that is Don't Starve is getting multiplayer added sometime this summer. Called Don't Starve Together, the general "campaign" of Don't Starve will be playable with two to four people, on both public and private servers. The multiplayer update will be free for anyone who already owns the base game, though the cost of purchasing will go up to $19.99 upon the patch's release. All of the features, updates, and the expansion, "Reign of the Giants" will be playable in this new mode. 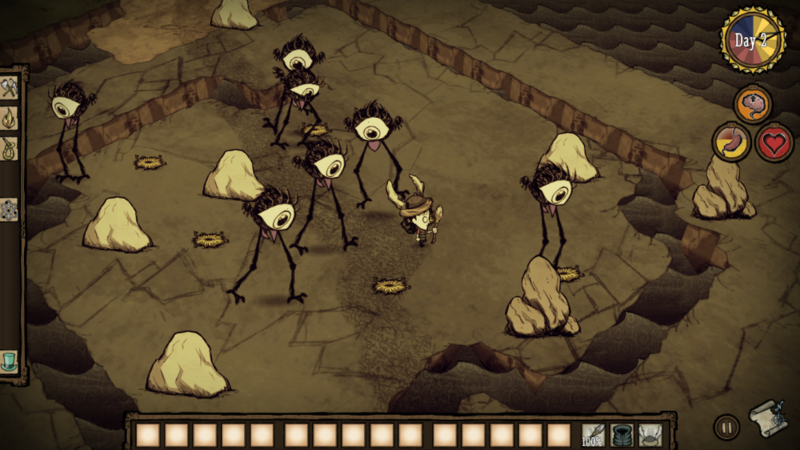 Don't Starve resembles a sketched out version of what Tim Burton thinks of as camping.The bizarre game features a colorful cast of playable guys and ladies dropped into a hostile world and left to their own devices. Guide your unfortunate character through the wilderness and progress through a tech tree in order to make the most of your outdoor excursion. And as the title suggests, not starving is pretty important. I'm excited to see what new dynamics this adds to the Don't Starve experience.